I recently returned from an incredible trip to San Diego where I taught a weekend of Hoop Workshops, performed and played with the local community. What a blessing! This trip felt like a milestone as it was my first time teaching a solo hoop workshop outside of my region. It was also the first time returning to SD since my first Cali trip nearly 9 years ago. Perhaps there’s something about landing on the same ground and re-visiting familiar spots that helped me to witness and feel into my own growth and change over the past decade. Upon my first visit to the Pacific Coast, I was stunned by the beauty of the beaches, comforted by the relaxed beach community vibes, nourished by the good food, filled by the epic sunsets. However, despite all the beauty, I felt lost. I remember driving north along the coastal highway, feeling like my spirit was depleted, my soul depressed. Recovering from a break up, swimming in a post-college-graduation-abyss, lonely from a recent move to Carrboro, feeling a loss of community, and entering my Saturn Return, I was in a strange mental/emotional state for the journey up the California Coast. Getting to go back to SoCal, I realize how much I have healed and evolved since then. The first trip was a few months prior to meeting the hoop for the first time. Without a doubt, I attribute a great deal of the healing process, general satisfaction with life, comfort in my skin, intimacy with the divine, feeling of invigorating aliveness and ability to surrender to the unknown to the 8.5 years of hoop practice that has filled the time between the two visits. In some ways, it feels this trip to San Diego has been a long time coming. In addition to this opportunity for self-reflection and to re-visit an amazing place, Valentina Unity (www.unityhoops.com) first asked me to visit and teach a workshop over a year ago after watching my twins (doubles) class demo at Hoop Camp 2008. She had found the video when she bought a firehoop from us. I felt so honored by her general enthusiasm and interest in my hoop style and her sweet promotions of our hoopdrum firehoops (turns out we have a lot of hoopdrum clientele in San Diego:). While it took quite a while to manifest the opportunity to come out to SD, her encouragement was persistent. I thank Unity so much for presenting the repeated invitation to come out. It was a true blessing to spend time with her, to witness her passionate relationship with the hoop and genuine desire to be building Community in the SD area. 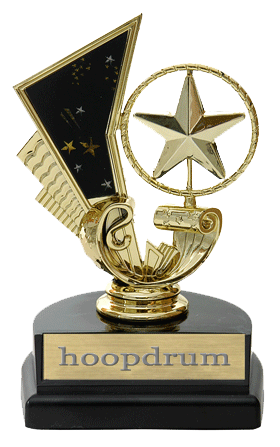 She teaches several hoop and belly dance classes in Ocean Beach every week and her hoop troupe, The Hoop Unit, was nominated for Hooping.org's "Hoopie Awards" for "performance troupe of the year". Unity has only been hooping for 2 years, but her stage presence, motivation and skill set are impressive and inspiring. Unity is an amazing, second-generation belly dancer (her mom is also a belly dancer and now hooper) and a badass poi spinner too. I was absolutely mesmerized by her fire poi on my last night in California. Both Valentina and her energetic and adorable partner, Austin, were a pleasure to be around. Much gratitude to both of you for all!! I can’t wait to host you for a visit in NC. I mentioned coming out to my girl, Nayeli Michele (www.hoopnectar.com), who was also excited for my visit so she set up the workshops at Circus Fund. I met Nayeli for the first time at Hoop Convergence ’08 after having brief email correspondence. She had written to state thanks for my videos and their influence on her style. Ever since our first meeting, we’ve gotten along beautifully. Over the past two years, we’ve been deepening our friendship through her many visits to NC. I was thrilled to come out and spend some time hanging and hooping with a soul sister. When we performed together in NC, audience members thought we were blood sisters with our similar movement vibe, presence and movement style. I have so much gratitude for Nayeli setting up the workshops and LA Jam at Abundant Sugar and hosting me for most of my time in SD. If you haven’t checked her out, she is an amazingly fluid, graceful, creative hoop dancer. With a background in Yoga, AcroYoga and Trance Dance, it is deeply apparent that she is a fully embodied spirit. Much gratitude to Nayeli for all your work and gracious hosting! Excited about my visit, Unity invited me to perform in a show with her and the Shimmy Sisters. When it was decided that Scott would stay behind, he and our friend, Osker Brinton collaborated on a music piece for the performance. Before the performance, I realized how comforted I am by Scott’s presence with me on stage. Many don’t believe this, I have always been SO nervous about hooping for an audience. This debilitating nervousness (for real, I used to nearly cry if I had to speak or move in front of people) has tremendously improved over the years because of the hoop’s powerful ability to require one’s entire focus. With no room for insecurity and crippling, self-critical thought patterns, the hoop flow has helped me get up and do what I love, even in front of other people. Despite the progress with this over the years, I was nervous to the point of nausea and shakes before the show. Finally, I went to stretch and hoop on the familiar circular bamboo mat at Nayeli’s and remembered that I do know how to hoop! I can do this! The show, The Nomadic Circus, was held in The Tango Room, a gorgeous two-story venue with Antique Spanish flavor. The Shimmy Sisters, Unity and Danyavaad put on an epic near two hour belly dancing and live music show complete with veils, hoops, flaming swords, wings and live boa constrictors! It was, without a doubt, the most entertaining belly dancing show I’ve ever had the privilege of seeing. In addition to being extremely talented dancers, I resonated deeply with them personally. They called a circle before the show to ground, connect, set intentions. I felt so at home in this way of opening the show to spirit. In my time in the hoop, this is the first time that someone else has called a circle before a performance. I knew I was amidst my tribe. The venue was a gorgeous club, El Tango del Rey, with a true dance floor. I could hardly believe I was to follow up all this incredible dancing. Scott co-created the music with Osker Binton. Before creating the music, we discussed the space, the moon cycle and my intentions for the piece. Since performance has been quite a tumultuous road for me, I remembered the moments when performances have meant the most to me and seemingly to audience members. In my time performing, I have gotten the feedback that individuals felt a peak experience, greater connection to their bodies, vicarious bliss, deep relaxation, a sense of healing from witnessing the hoop flow. I set an intention for the dance to facilitate that bliss, union and openness that brings us into the heart space creating opportunities for peace, healing, joy and inspiration. Those intentions were channeled into the making of the music. Scott recorded loops of various percussive instruments and Osker mixed his rhythms with singing bowls, guitars and otherworldly sounds. The few minutes before the performance were plagued with a nervous agony. Over a half glass of wine, I meditated on my intention and spoke a few affirmations that I rarely allow myself to say (interesting how I can have such a difficult time encouraging and complementing myself), then I surrendered any outcome for the performance. My intimidation of hooping after such accomplished dancers dissolved and was replaced by the inspiration of their embodiment. I walked to the mic. Before I began dancing, I dedicated the dance to Scott since he, my soul mate and musical support, wasn’t present in body. I stepped to the floor, the music began, and I entered a trance. Scott’s presence was absolutely there. I felt the joy they had creating the music together. I’ve rarely felt so transcendent in a performance and never felt so comforted by choreography.